I didn't anticipate starting July off like this, but...Krystal Jayne at The Narcissistic Rose has passed on The Very Inspiring Blogger Award to moi. Do check out Krystal's blog. Her posts are always engaging and interesting. 2. Link back to the person who gave you the award. 4. Nominate 15 other bloggers for the award and link back to them. 1. I started reading romance at 12 and historical romance at around 14. I always loved history and historical fiction. I read every available American Girls collection book during reading time in elementary school and I have literally become absorbed and obsessed with historical periods over time. 2. I love Monty Python. "Always Look On the Bright Side of Life" cheers me up on the worst days. 3. I'm actually 4 feet 10 inches tall. But I tell everyone that I'm 4 feet 11. In fact, all of my official documents say I'm 4'11". 4. I am half Japanese and half Irish. I speak Japanese, but I don't read it very well. 5. I do a pretty amazing (if I say so myself) Donald Duck voice. 6. I like to bake, but I'm still pretty hopeless at cooking. 7. I like going to the theater to see musicals and plays; definitely one of the great advantages of growing up and living in New York City. You see, Krystal nominated a singleton (me) and I'm not sure that I even know 15 other bloggers, so I'm going to nominate one person also. 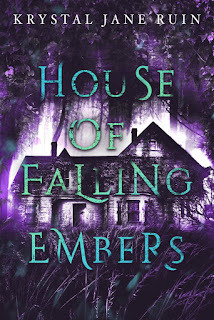 This blogger posts very thoughtful and insightful posts on a variety of writing-related topics and I always come away entertained and learning something new. So I'm nominating Diane Carlisle at Are We There Yet? 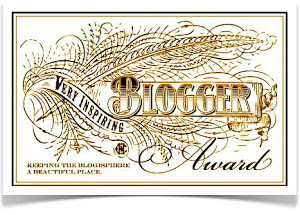 for the Very Inspiring Blogger Award. Congrats!! And <3 American Girl books! I used to read them and the Dear America books! I still have my Dear America books--I have most of them, I think. I loved that series. And American Girl, of course. It's the first time I learned about the Edwardian era...and now I'm obsessed with Downton Abbey. Oh my gosh, I remember you saying once that you were short. I'm 5'3, that makes me tall, right? No? Lol! I can say a few things in Japanese. Hi, Bye, and Let's go. And sometimes I remember stuff like, I'm hungry, but not often. It's second on my list of languages to learn after I improve my Spanish. At 5'3", you'd be tall compared to me. In fact, that's how most of my friends feel standing next to me. See? Instant confidence booster!